Rock and Roll is loud because Jim Marshall, a British electrical engineer, helped The Who’s Pete Townsend in 1962 to drown out the chatter from his audience so the guitarist could better concentrate on delivering his distinctive wall of sound. 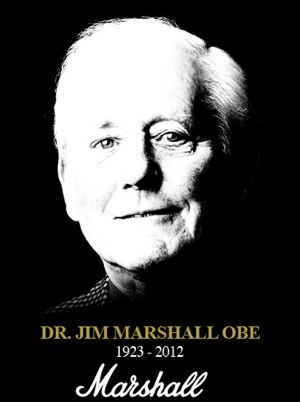 As a musician and owner of Marshall Amplification, Jim began producing one of the most iconic pieces of equipment in popular music from his small West London shop. The “Marshall stack” soon stood as a monument behind all the great guitarists, Jimi Hendrix, Jimmy Page, and all the rest. Marshall died yesterday in England after battling cancer and suffering multiple strokes in recent years. He was 88.